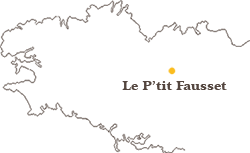 The mix of acid and soft varieties gives a balanced juice, sweet and nonalcoholic. Ideal for the thirst of children and adults. The 3L BIB format is ideal for families: thanks to its flexible and airtight bag system, you can drink the apple juice until 1 month after openning! 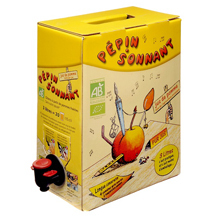 Pépin Sonnant is available in 1 liter bottles and in Bag in Box with 3 liters eco-refill.